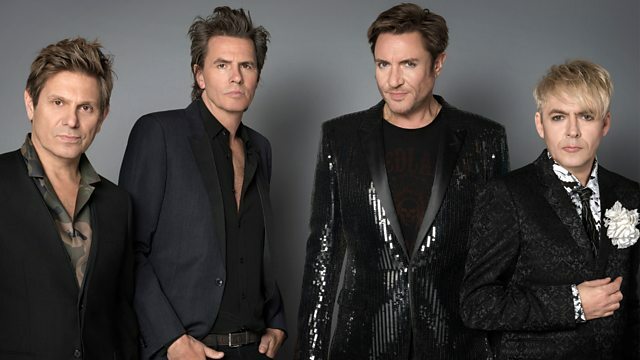 Celebrating Duran Duran with exclusive backstage access, interviews with the band and rare footage charting their rise to fame, and the highs and lows of their amazing career. With exclusive access, the band open up about their extraordinary career and talk candidly about the highs and lows they have endured together over four long decades. This is the band at their most relaxed, intimate and honest. We spend time with John at his LA home, Simon pays a visit to his former choir master, Roger goes back to where it all started in Birmingham, and Nick dusts off some of the 10,000 fashion items that the band have meticulously catalogued and collected over the course of their career. Joining the conversation is fellow new romantic and singer Boy George, lifelong fan and record producer Mark Ronson, friend, fan and supermodel Cindy Crawford, and Highlander film director Russell Mulcahy. Charting their trajectory over four decades, the story is told through seven of their albums. Each record uncovers a compelling chapter in the band’s journey - the fame, the fortune, the melt downs, the hits, the flops, the exotic videos, the tours, the fans, the partying and the supermodels.